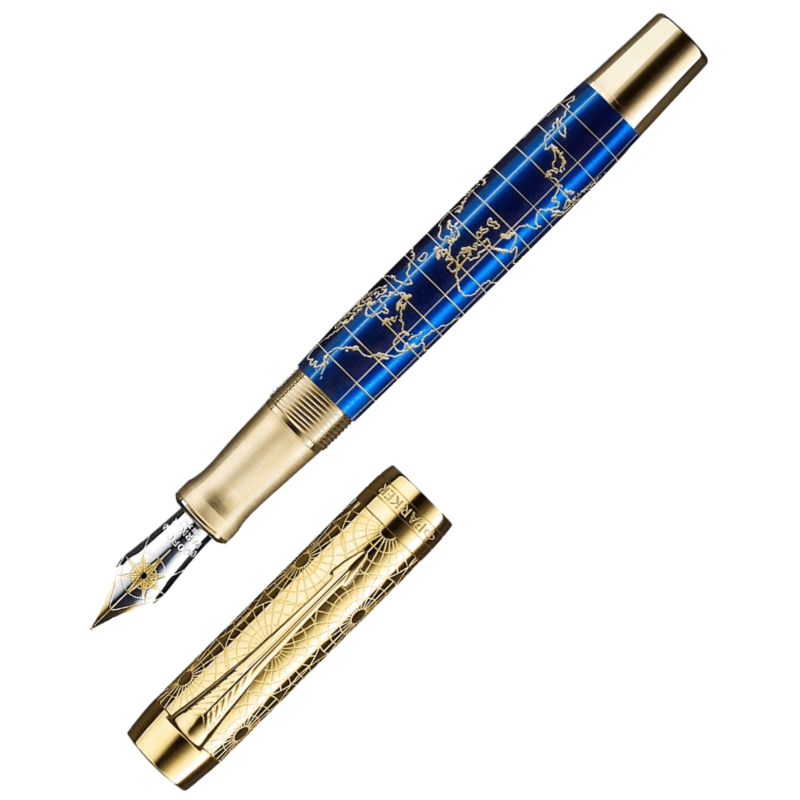 Parker opens the celebration of its 130th Anniversary with a reinterpretation of the elegant iconic Duofold model, fist launched in 1927. 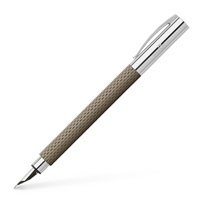 TRUE CHARACTER: The barrel features a world map set with lasered golden lines. 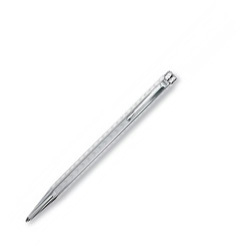 The Fine 18kt solid gold (bi-colour) nib features a compass design, which represents the science of navigation and the old-world steamships George used during his journeys. 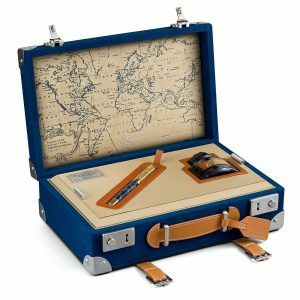 A Luxurious Gift Box Inspired By Vintage-Style Luggage. 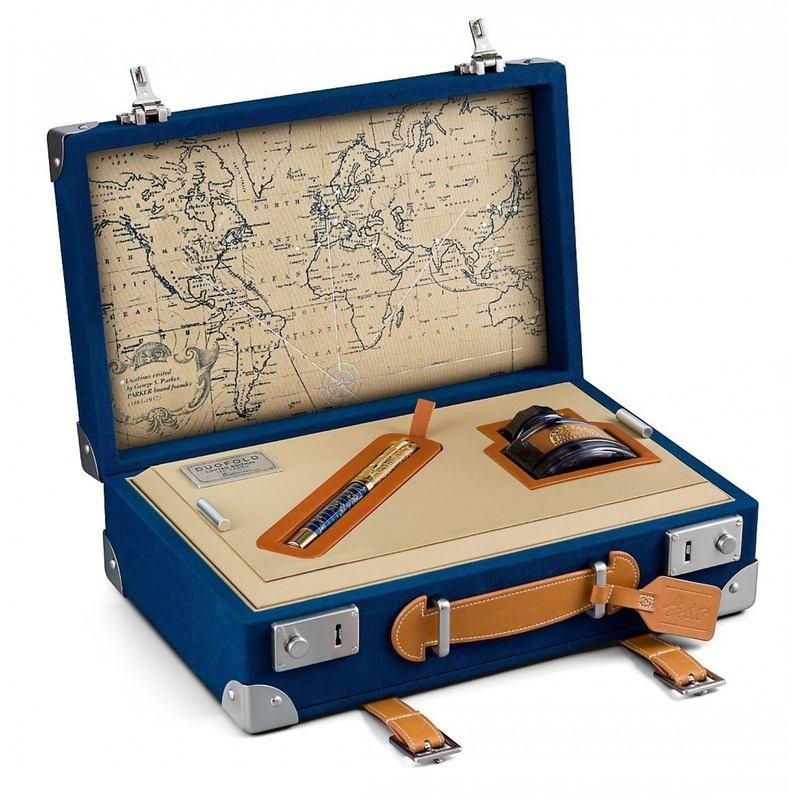 The box lid features a world map highlighting all the countries George visited during his global travels.